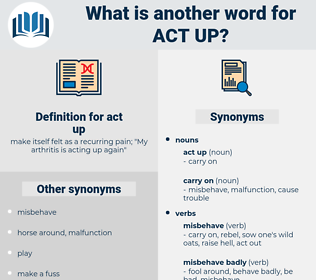 What is another word for act up? make itself felt as a recurring pain; " My arthritis is acting up again"
conduct, curb, comport, handle, inhibit, collect, check, conform, acquit, act, repress, bear, contain, compose, constrain, control, move, quit, deport, comply, obey, quiet, demean, restrain. 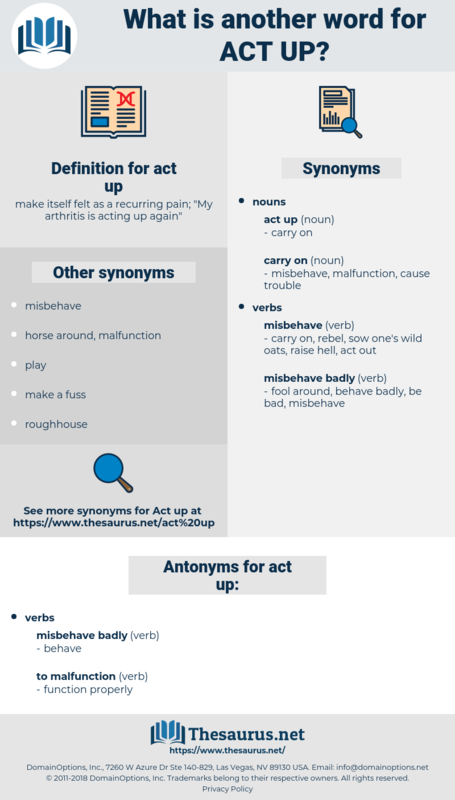 acquisitive, assistive, associative, acidify, accusative, acetify, active, agitative.